On The Map (OTM) is a location finder and map maker. It can be used to chronicle your travels or to place a marker on a local or world map of all the places you've been. 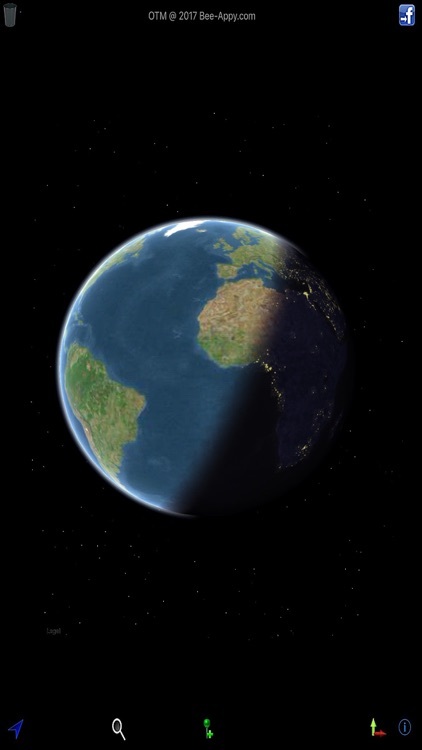 OTM can also be used to find your current location for general positioning purposes. With updates to Facebook or social media, it can let your friends know where you've been. Put your mark - On The Map! Simple interface, very easy to use. Add locations manually or based on your current location (accuracy & availability varies with device type). Supports as many saved maps as you like. Manual update of maps to the system pasteboard or via sharing (you can e-mail your maps). 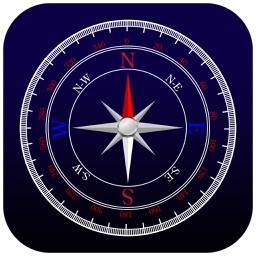 Use Standard Map, Satellite Map or Hybrid Map provided by the MapKit. Zoom in/out to show the amount of detail you want on your map. 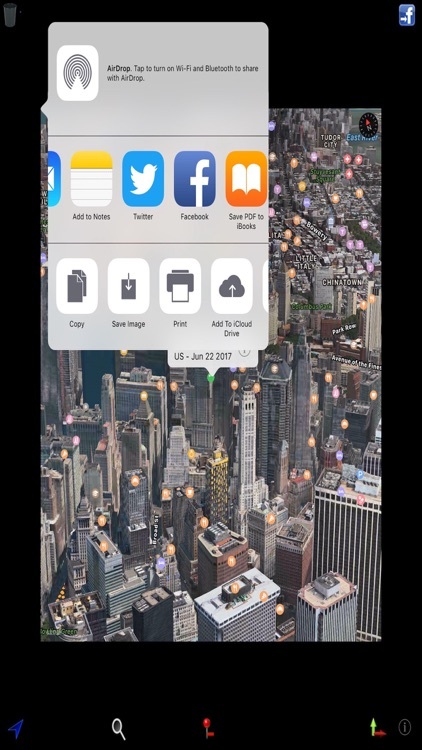 Add images from the system pasteboard (taken from Safari, your photos album, or other apps that support the pasteboard) to your maps. Uses reverse-geocoding to label pins you drop on the map. Search for a location using the Search Button. Three map sizes are supported. Dates of when pins are entered into the map are maintained (for journaling your travels). 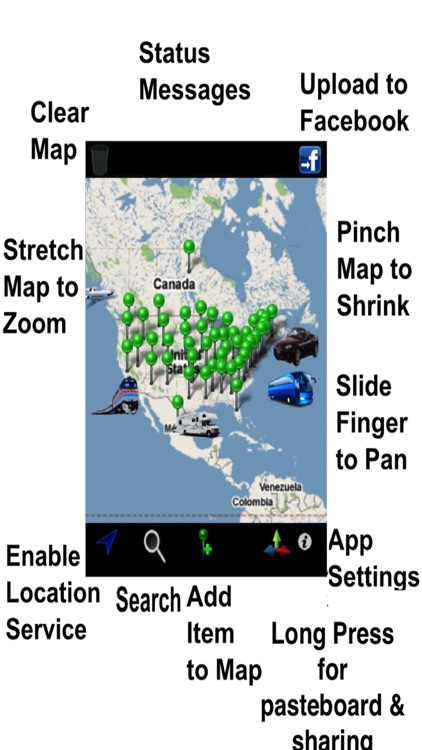 The map can be zoomed in (stretch with two fingers) or zoomed out (pinch with two fingers). Pan the map by sliding your finger across the map. Double taps zoom the map in increments. Place a location on the map with the location service button (lower left) or the manual button (lower middle). 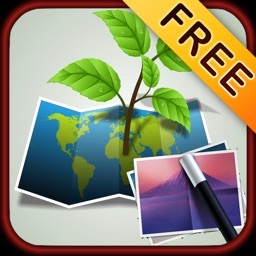 Add a clipart or photo from the internet or your camera roll (hold down any black area for 2 seconds to invoke system pasteboard). 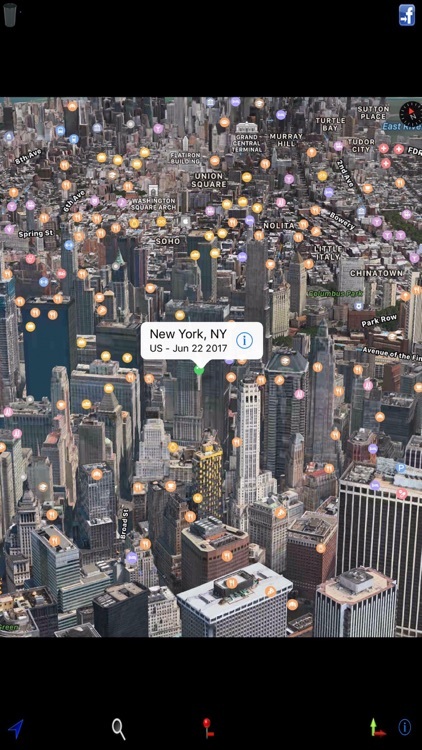 Long Press (> 1sec) in map to get "share" option to send current visible map to twitter, snapchat, tumbler, printer, iCloud, email, etc. Adjust settings (info button lower right). 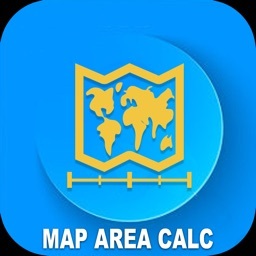 This can add a caption, change map names, select map size and type, select last pin as your home location, select auto zoom on pin placement, select location accuracy, and enable/disable timed updates to Facebook. Clear a map (trashcan button upper left). Login/Logout/Update to Facebook (upper right). Send a meet me here! 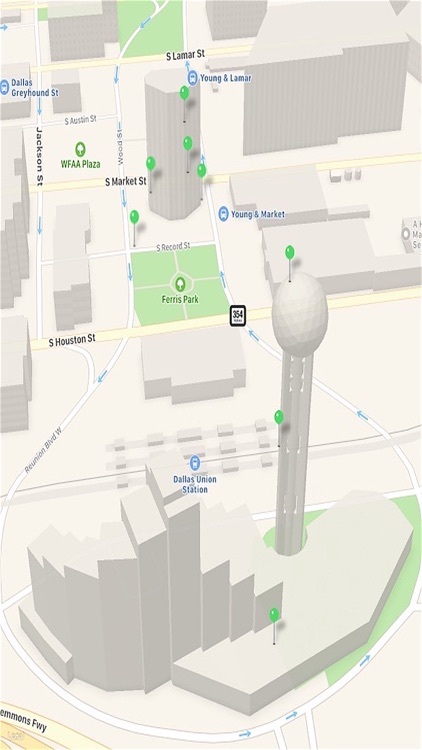 map to let others know where you are. Mark important locations on a map. Acts as a trip tracker for a person who is traveling. Keep track of family and friends locations. 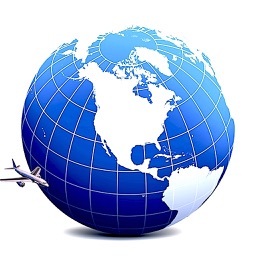 Quickly determine how far from home you are (location availability depends on device type). 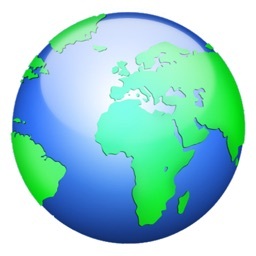 Add fun clipart to map locations (see sample). Find a restaurant you like, let others know by putting a thumbs-up picture on the map and post the result to your friends. Keep a journal of your travels. Put a pin on the map in all the locations you've travelled to (see sample). Use OTM to make a cover page for your vacation Facebook albums (see sample). Find an exact location quickly by using the Search Button. Lookup a zip code by street address. Care should be taken when posting exact locations to Facebook or in email. Posting of home positions or use of precise maps is discouraged. Tell your friends - get OTM. Find us on Facebook - search for Bee-Appy.com. Facebook and the Facebook logo are registered trademarks of Facebook Corporation.